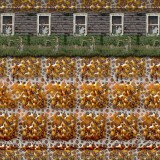 Thanks to Gene Levine for sending over one of his latest 3D stereograms. 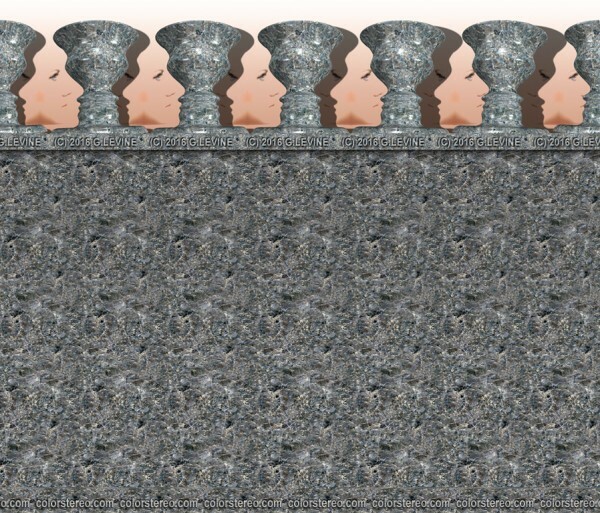 It incorporates the face/vase ambiguous optical illusion in addition to the hidden image located in the pattern below it. 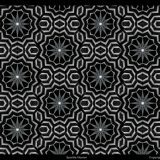 Take a deep look inside the gray swirling pattern and see if you can get the hidden image to pop out at you. So, did you see it? What is it? « « Previous Illusion - How Many 3s Do You See? Thanks for your feedback, Sharla.